Moving to a new place brings all sorts of adventure, but unfortunately, the process of moving is no fun. To make your task a little easier, here are 8 essential moving hacks. Moving is going to take some time. If you want to do it in an organized fashion, start packing weeks in advance. Make any necessary arrangements, such as moving truck rental and hotels 2-3 weeks out so that you don’t have to worry about them the day of the move. Change your address 1-2 weeks before you move as well so that you don’t have to worry about your mail getting lost. Save some space in the moving truck by getting rid of anything that you no longer need or want. As you go through your house, room by room, put everything into three categories: need, want, and don’t want. Everything that you don’t want you should throw out, donate to a local charity, or sell it. Once those things are out of the way, take a look at your want pile and determine if there is anything that you never use. Don’t fall into the trap of “I’ll use this someday,” if you haven’t used it in the past year, chances are that you won’t use it in the next year, so toss it out. It will be much easier to dejunk your life if you have somewhere to put all of the things that you want to get rid of. Rent a dumpster about a week before you plan to move so that you can toss in your unwanted items every day leading up to the big move. Luckily, if you forget to plan ahead and schedule a dumpster, you can rent a dumpster at a moment’s notice! Some companies even offer a 4 hour guarantee — meaning that the dumpster will be there in four hours from the time that you order it. Moving is a long, arduous process, and one that should not be taken on alone. Enlist family, friends, and neighbors to help make your move faster and more efficient. If you don’t know anyone who lives nearby, it might be a good idea to hire a local moving company to take care of some of the bigger things. If you don’t have enough moving paper lying around you can use your clothes to protect fragile items such as dishes, vases, and keepsakes. You can also put styrofoam plates in between each normal plate to keep them from breaking. 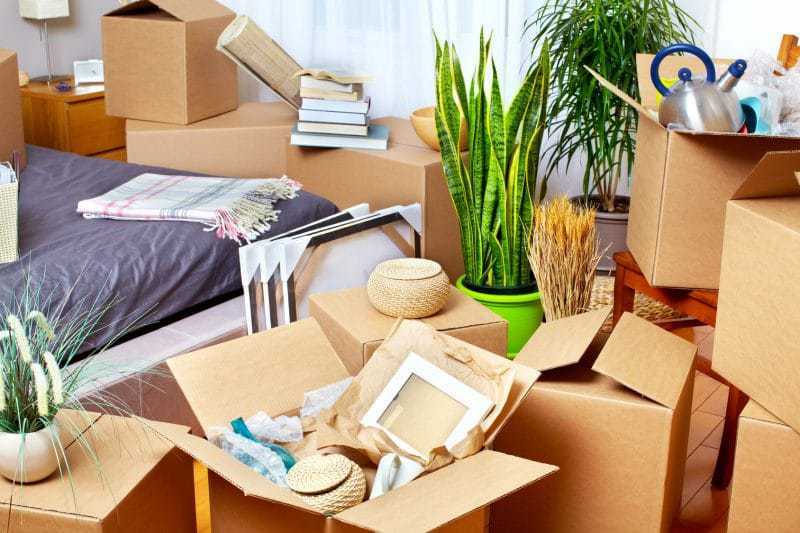 Pack fragile things in smaller boxes and make sure that you label them as fragile so that those helping you move will be more careful with them. Find a way to label each box and bag with what room they will go in once you arrive at your new place. That way you won’t have to hang out at the moving truck telling people where to put things. Color coordinating things by room is a great idea, but you can also write what room they belong in on a piece of tape. You can also use holiday gift labels to mark your items. The easiest way to keep track of your stuff is to number each box. Every time you pack a box, write a number on it, and use a notebook or google doc to jot it down with a quick description of what’s in the box. The descriptions don’t need to be detailed – something as generic as “Kitchen” or “Office Supplies” will do. When you arrive at your destination, you can check each box off of your list to make sure that everything arrived safely. Many people forget to properly take care of themselves while they are moving. Make sure that you eat enough food and that you drink plenty of water throughout the day. Don't forget to lift with your legs so that you don’t strain your back. Try to minimize stress. Be careful not to cut yourself on any moving boxes or sharp objects. While it’s important to get all of your stuff to your new place in one piece, it's more important to get you there in one piece. Thanks for sharing. We are suppose to move from a house we have been in for 12 years. A lot of junk for sure. As time has past, finances have become slender so moving things from one place to another is a challenge – especially with the limited use to one arm & hand – therefore I ask prayers for a quick appointment on Wed. 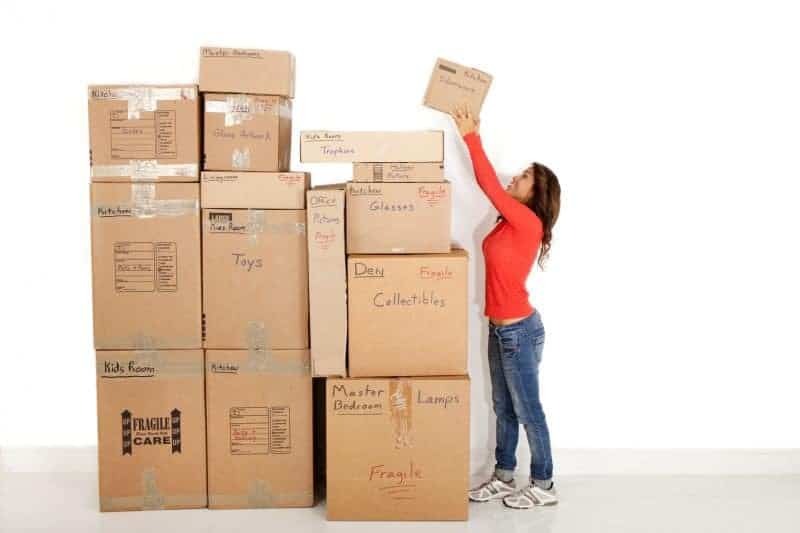 This is ultimately the very best article for those that are in the process of a move from one place to another!Hence, this would be great for the home page as many of our families have students (college) moving into dorms or out on their own! These are really great tips to use when moving. I always start early when I plan to move. Thanks for the good tips, wish I had these last time I moved. Great tips! I’m pinning this for the next time we move. I had to help move my father out of his home that he’d been in for 20+ years. I highly recommend your suggestion of renting a dumpster in situations like this where you’ve been in the home for a long time – it made the job so much easier! I should save this list. Any time I move it’s utter chaos. I don’t pack much, but just kind of move stuff out to the truck. I’ve never moved very far so I figured that was OK. But it takes forever. How are you supposed to pack all those kitchen appliances, though? Seems they’re too big and heavy to put in boxes, but too much a pain to carry out individually. Wow, I learned something new! As a Military Wife and tons of moves. I never even thought of numbering the boxes to keep track of our belongings. Well you learn something new everyday right? I know I will be using this method on our next move for sure. Thank you so much for sharing this awesome idea. I just had to share this article to my Facebook page, I know it will help a lot of my friends for sure. These are some wonderful tips!!! I could use these everyday! Now if I get my family on board this would be amazing!!! What great ideas. I will be moving to another home in a year or so an! I have moved 6 times in 11 years! 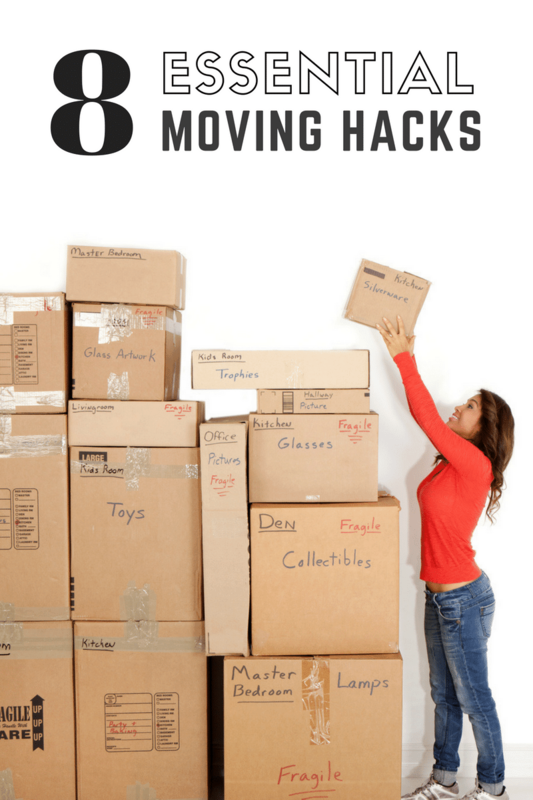 I still am not an organized mover…lol If there is ever another move, I will revert back to these tips. These are great tips! Moving can be such a pain. Hoping we won’t have to do this anytime soon! Very useful info I know moving can be a pain . And info like that can really help . And make it less stressful. Thank you for these awesome hacks! I have shared them with my sister who is in the process of packing for a move. Her hardest thing to do is getting rid of her junk. Maybe there is help after all. I haven’t had to move in a long time but will soon. Your list will come in handy! Great tips! I’ve moved houses 3 times in the last 5 years and I held a garage sale each time to get rid of most of the stuff I’ve accumulated. Moving is really difficult work not an easy. You have explained everything in detail about moving tips. Thanks for sharing this so interesting post! I really want to be thankful for the way you have put it here.